All your outdoor gear is as good as you take care of the gear and the camping stove is no exception. 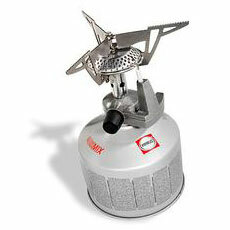 Treat your camping stove well and your camping stove will treat you well. A very simple piece of information, but very few people read the directions on how to use or maintain a camping stove correctly. Make sure you know how to use the camping stove correctly. If you are purchasing the camping stove from a retailer, ask the salesperson if there are any special hints on how to use and maintain the camping stove correctly. Learn how to maintain the camping stove at home and in advance, not on the trail. Never use old fuel as it might be contaminated. Never take the chance if you smell an odor when the camping stove is lit. Always find out why the manufacturer suggests to use a certain type of fuel. It might be that other types of fuel can shorten the life of the camping stove or could possibly clog the burner of the stove. Clean the camping stove properly after every use. Bring along any spare parts that might be needed as well as a maintenance kit to fix the camping stove. The manufacturer will possibly suggest any tools that might be needed to repair the camping stove. Taking care of the camping stove in advance will add to your camping enjoyment. Don't forget to learn how to maintain your camping stove correctly because incorrect methods might damage your camping stove.